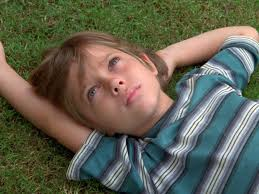 In the movie Boyhood we watch a boy named Mason grow up before our eyes from the age of 6 to 18. Director and writer Richard Linklater took a big risk taking 12 years to film a movie and that risk has paid off. He has created an original movie that is so authentic, honest, funny, and touching, that I wonder how we can ever be expected to see 3 people play 1 person again. Boyhood feels like a very personal ode to life changes, falling in love, and the challenges of parenting. 12 years of filming together creates a rare comfort between the actors and a closer relationship between the audience and the characters. Mason loves photography and has experiences with his teachers that feel autobiographical. 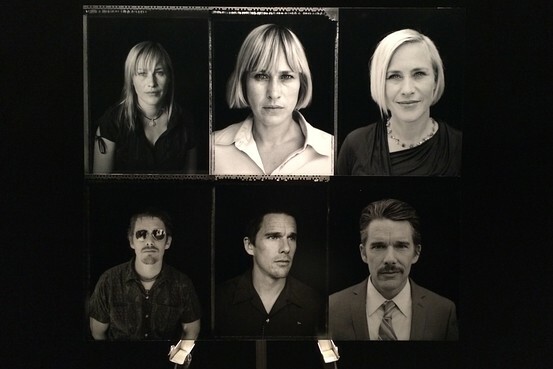 That Richard Linklater cast his daughter and long time collaborater Ethan Hawke, adds to the personal touch. To watch one of his movies is like drinking freshly squeezed orange juice instead of Tang. His movies feel home grown and warmed by the sun. ( Much like his 3 movies Before Sunrise, Before Sunset and Before Midnight). He takes such care to make each moment as real and as honest as possible. Pictures featured at the NYC movie premier at MOMA of the actors taken through the years. Ethan Hawke who plays the father looking for a second chance is a wonder as usual. I love the sarcastic bad boy with the golden heart of a poet he portrays. 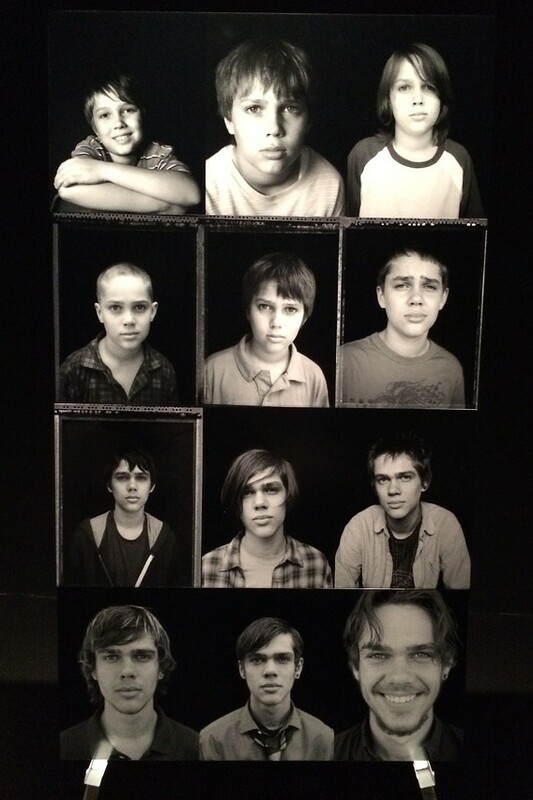 Ellar Coltrane through the years. Ellar Coltrane who plays Mason is a unique talent with a quiet and fascinating presence that usually comes with decades of experience. His introverted nature feels pleasantly similar to his mom played by actress Patricia Arquette. Richard Linklater’s talented daughter Lorelei has a level of comfort onscreen that hints at a close relationship with her dad. She performs a Britney Spears song with such joyous gusto that I couldn’t help but chair dance along with her! Last, but certainly not least, Patricia Arquette plays their struggling single mom who takes matters into her own hands to improve their lives. Her evolution and bravery are an inspiration. I imagine many award nominations will deservedly come her way for this performance. I have loved her since True Romance and I am thrilled to see her receive such well deserved kudos. To watch actors Ellar Coltrane, Patricia Arquette, Lorelei Linklater and Ethan Hawke transform over 12 years is a gift I hope you give yourself while it is still in theatres. I hope you see this movie if you haven’t yet, and if you have, what did you think?